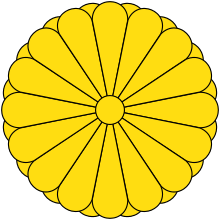 The Imperial Way Faction (皇道派, Kōdōha) was a political faction in the Imperial Japanese Army, active in the 1920s and 1930s and largely supported by junior officers aiming to establish a military government that promoted totalitarian, militarist, and expansionist ideals. It was never an organized political party and had no official standing within the Army. 1 2 Crosier, Andrew (1997). The Causes of the Second World War. Wiley-Blackwell. ISBN 0-631-18601-8. , page 200. ↑ Hane, Mikiso (2001). Modern Japan: A Historical Survey. Westview Press. p. 282. ISBN 0-8133-3756-9. ↑ Harries, Meirion (1994). Soldiers of the Sun: The Rise and Fall of the Imperial Japanese Army. Random House; Reprint edition. p. 191. ISBN 0-679-75303-6. ↑ Black, Jeremy (2003). War in the Modern World Since 1815. Routledge. ISBN 0-415-25140-0.